Allan delivers his painting to world renown psychiatrist, Dr. Emmett Miller. Dr. Miller is the Father of mind body healing. 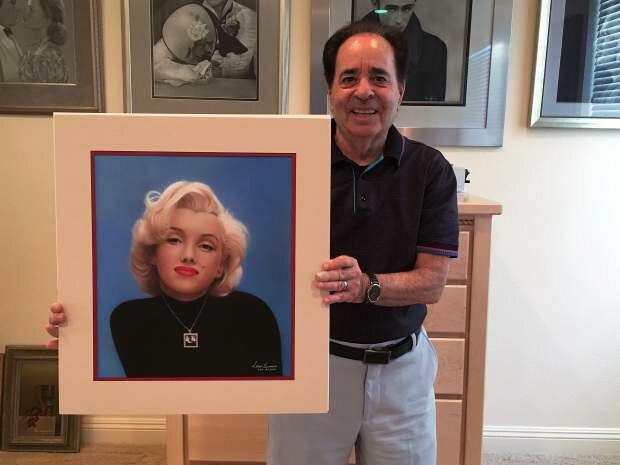 We donated two “Forever Marilyn” prints for the auction. Janie and I were given front row seats for the concert and Barry wanted to thank us in person. What a great guy. Allan Berman’s life flashed before his eyes, and what he saw would become his greatest work. 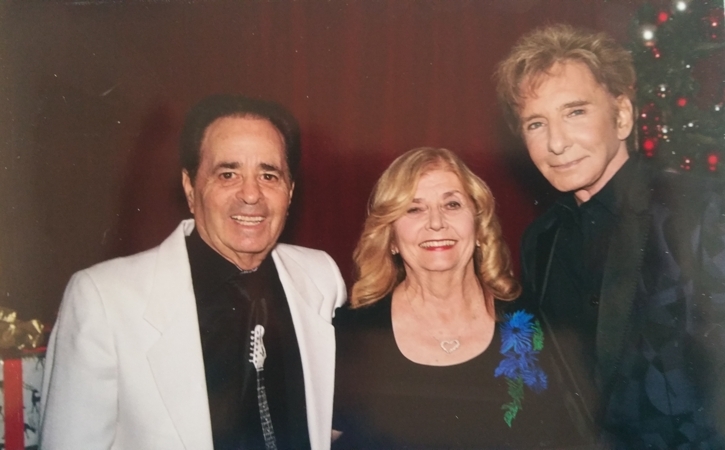 Berman, who has lived in the Penn Valley area since retiring in 1998, had been driving up to Grass Valley in January 2015 with his wife Janie to have dinner, when an oncoming driver swerved into their lane, colliding with the car head-on. The collision, which had been caused by a deer entering the roadway, was horrific. 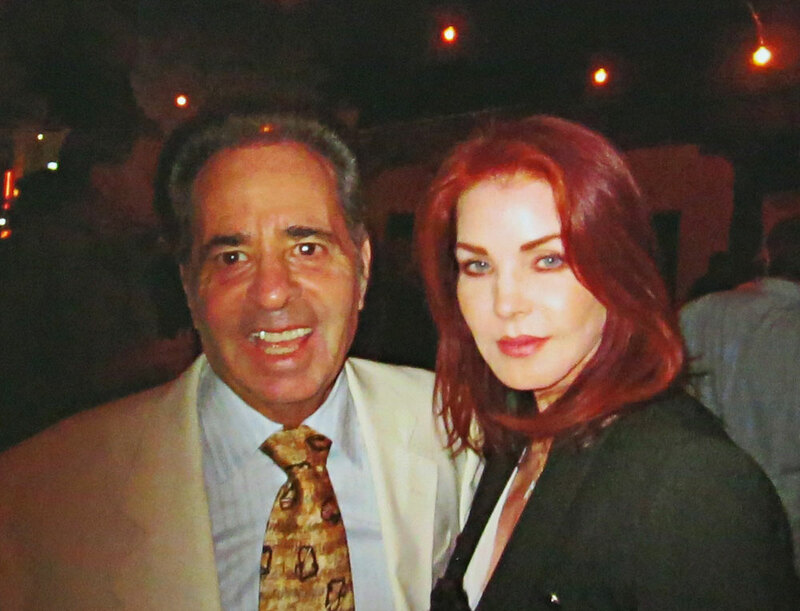 Berman and his wife suffered significant, though non-life threatening, injuries. The other driver, a 69-year-old woman, sustained injuries that would keep her in the hospital for several weeks, although she would eventually recover. “It was almost like slow motion, and I remember thinking to myself, ‘Is this it?’” Berman said of the crash. Although initially he felt no significant signs of outward injury, Berman soon developed severe pain in his neck that would keep him in physical therapy for six months. For Berman, this was far more than merely a physical trauma; the inability to create art was emotionally debilitating as well. The trauma of the crash ended up being the trigger that launched Berman to the greatest heights of his career. 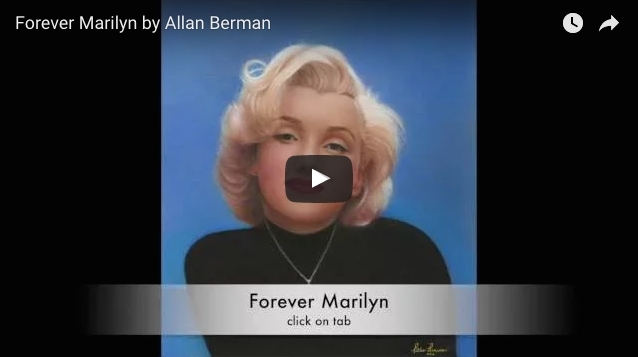 Following his recovery, Berman would go on to paint portraits of John F. Kennedy and Marilyn Monroe that represent the greatest of his already impressive portfolio. Berman is a lifelong artist, since his first visit to the DeYoung Museum when he was 10 years old. But family life, raising four daughters in the Bay Area, made it difficult to support himself and his family solely through his art. Thus, for most of his life, despite extensive training in oil and pastel painting from a master painter, Berman did not pursue art professionally. It wasn’t until 1997 that everything changed. 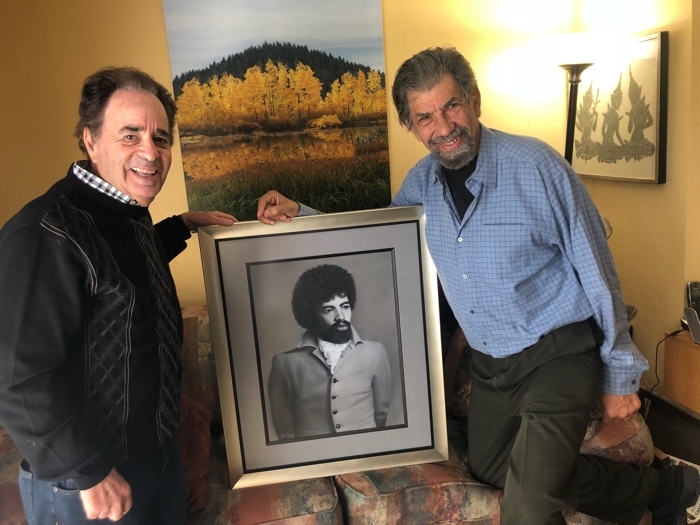 Berman’s father, mentor Roberto Lupetti and a close friend all passed away, and a change had to be made. Despite heading a highly successful business, without art in his life Berman said he lacked joy and creativity. “I wasn’t painting, I was just working, working, working; I lost all my creativity,” he said. It was this malaise, as well as urging from both his father and mentor, that led Berman to relocate to Penn Valley and take up painting full time. In the years that followed, Berman won numerous awards and becoming a renowned pastel painter in classical realism. He has been described as the “better-than-life” artist for his incredibly realistic depictions, and yet even with the accolades he never felt that he had achieved his life goal of creating his absolute best work. 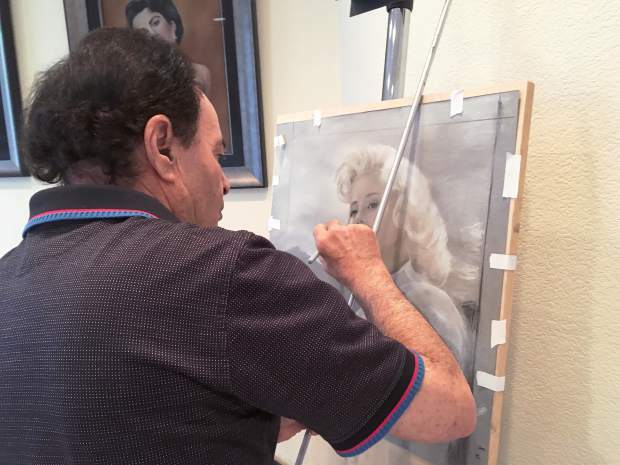 Berman, now 74, said after the devastation of the car crash nearly 18 months ago, and the painful stretch that followed, he crafted “Forever Marilyn,” a portrait of the famous actress and cultural icon. The striking visage of Monroe, after a protracted struggle to acquire the rights to do so, is set to be released for sale to the public in the quantity of 250 copies, more than 40 of which have already been purchased. 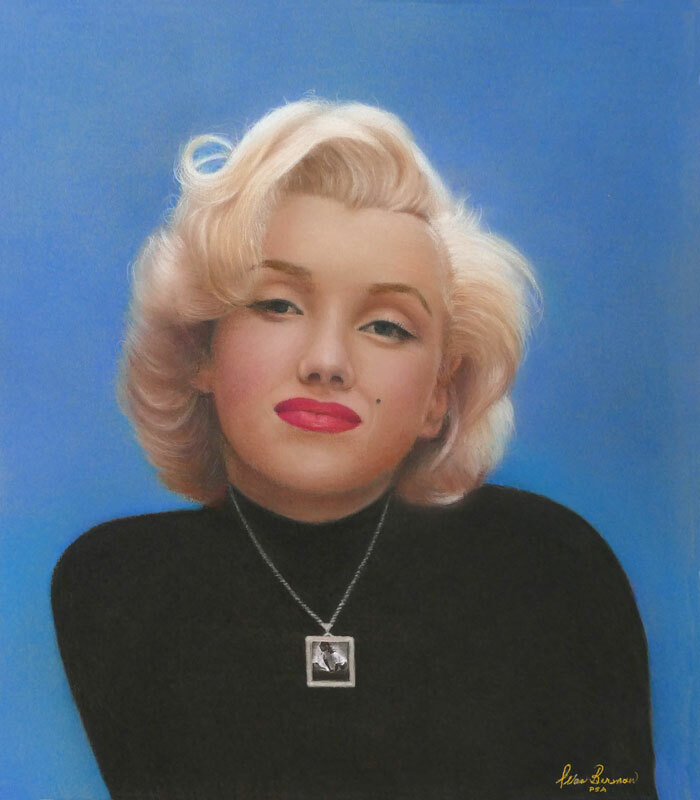 After weeks of negotiation 250 limited edition giclees of “Forever Marilyn” are available for purchase. Priscilla Presely had the chance to see some of my paintings at the PBS taping of the Hollywood Walk of Fame event for Buddy Holly. The YOUNG ELVIS painting was her favorite. 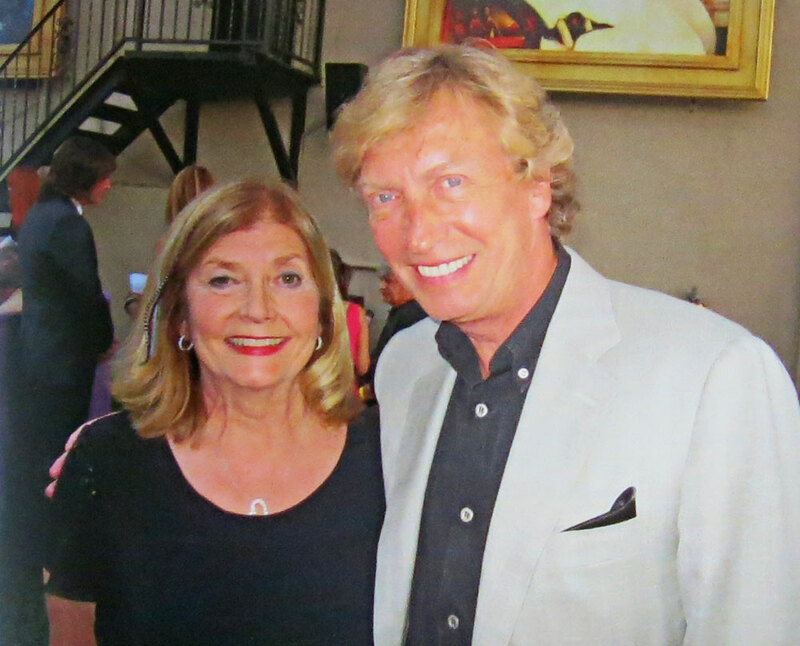 Janie and I met Nigel Lythgoe at the Hollywood Walk of Fame event for Buddy Holly. I showed him my painting of JOHN LENNON and we have been friends ever since. He now has 3 of my paintings. 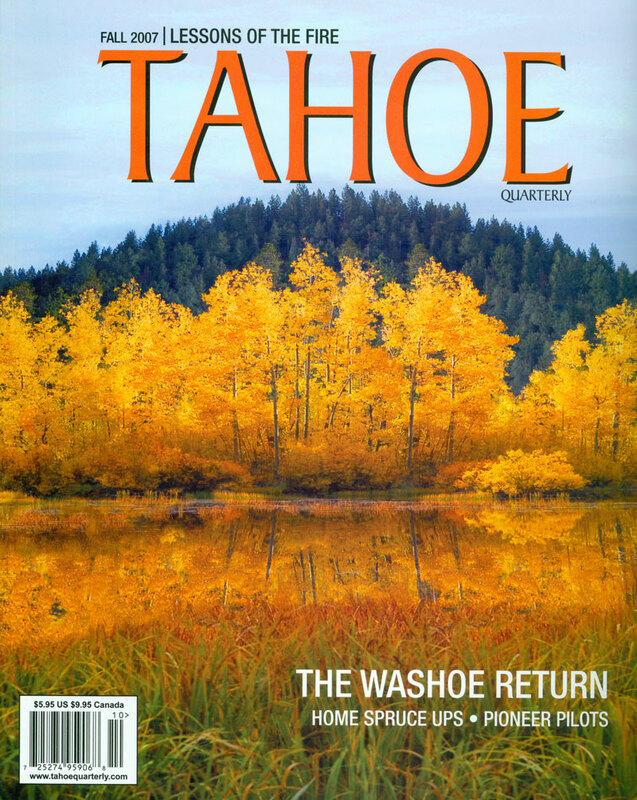 Allan Berman’s photograph “Celebration – Spooner Summit” was chosen as the cover of the Fall 2007 edition of the Tahoe Quarterly Magazine. Lake Wildwood artist Allan Berman stands with his pastel painting commemorating rock ‘n’ roll star Buddy Holly. His work has been embraced by Holly’s widow, who plans to help him market and distribute prints of the painting. Lake Wildwood artist and singer Allan Berman isn’t afraid to stretch himself. “Everything I’ve ever gone after, I’ve gotten,” he noted. Case in point is his most recent painting, two years in the making, which Berman calls his “best ever.” Titled “True Love Ways,” the painting is a tribute to rock ‘n’ roll legend Buddy Holly. 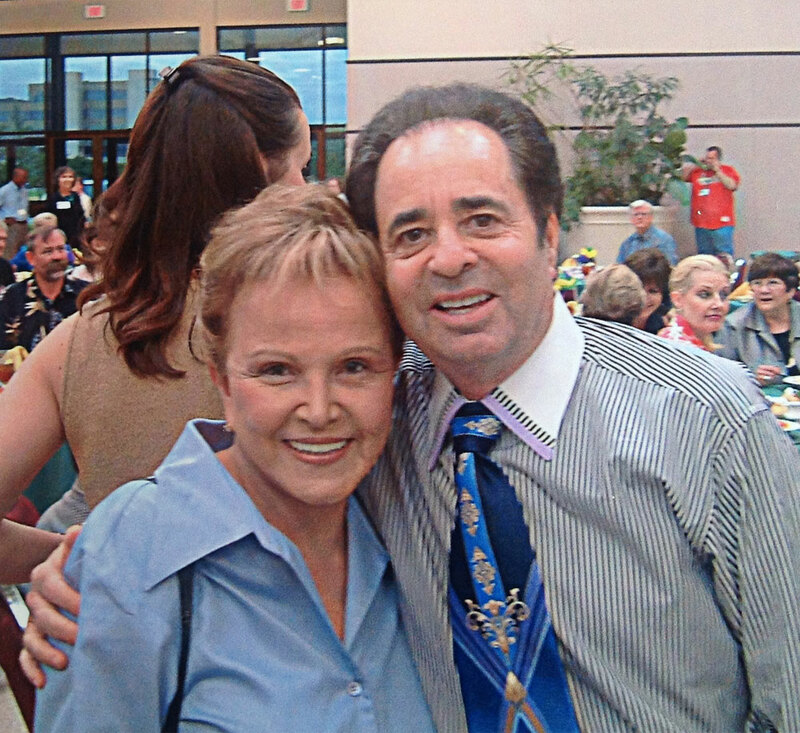 Berman never dreamed, however, that the finished product would be endorsed by his idol’s widow, Maria Elena Holly. It took Berman a year of negotiations with her lawyers before she called Berman. The title “True Love Ways” refers to the song Holly wrote for his wife. “‘True Love Ways’ was the song that when Buddy performed, he always dedicated to me,” said Maria Elena Holly by phone Monday from her home in Dallas. In conjunction with the painting, Berman also produced a CD of 10 Buddy Holly songs, covered by Berman. Berman and Maria Elena Holly will market and distribute 100 hand-embellished canvas prints, signed by both of them. The prints are currently displayed in an art gallery in the Palm Springs area and at the Buddy Holly Museum in Lubbock, Texas. A certificate of authenticity, copies of Maria Elena Holly’s letter to Berman, a photograph of her signing the print, and Berman’s tribute CD will accompany the print. 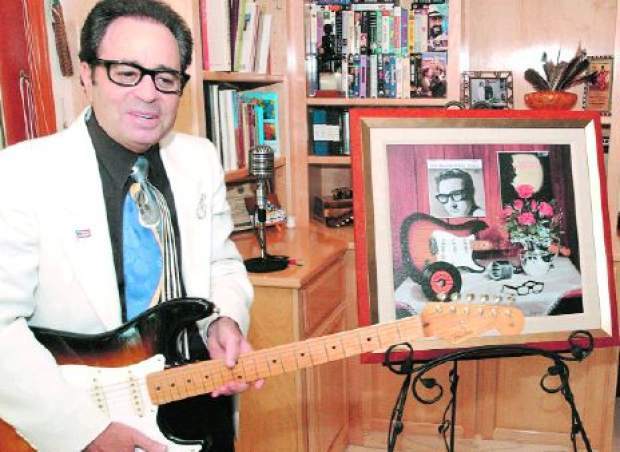 All the Buddy Holly items featured in Berman’s painting – from the Fender guitar to Holly’s original record of the song – were purchased by the Lake Wildwood resident for several hundred dollars. “Before I could even start painting, I had to get on the Internet and find all of the items I wanted to use. I spent seven months researching before I ever touched the canvas,” Berman said. To Berman, though, that was research time well spent. “Buddy Holly has been a huge idol of mine ever since I was 14 years old. 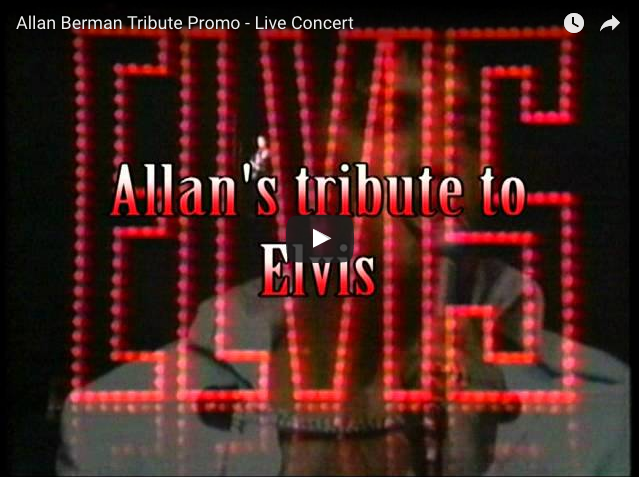 I watched him on the ‘Ed Sullivan Show’ and bought all of his albums,” Berman said. It wasn’t until Berman retired in 1998 that he began painting full time. Since then, Berman has achieved significant recognition for his art. His paintings have been exhibited throughout the United States and Canada. “Allan Berman is one of the finest pastel artists in the world,” said Kay Swena, director of the Water’s Edge Gallery in Rancho Mirage, where Berman’s works have been displayed since October. Berman has received awards of excellence from the Pastel Society of America, the Pastel Society of the West Coast, and the Pastel Society of the Sierras, among others. He has also received the Nevada County Fair “Best of Show” award three years in a row. In addition to painting his idols, Berman for the last 20 years-plus has also impersonated them. Other idols are Elvis Presley, Ricky Nelson and Neil Diamond. He won second place in a Bay Area Star Search competition in the early 1980s for his Elvis and Holly covers and has performed all over, including at former President Bill Clinton’s televised 50th birthday party. Berman hopes to open his own gallery in the Palm Springs area, where he lives half the year. “I would display my work during the day, and then on nights and weekends I would perform,” Berman said. For now, though, Berman is excited about meeting Maria Elena Holly in person. Berman, who has only spoken to her on the phone, will visit Buddy Holly’s widow when he donates a print to Texas Tech University Aug. 28. After creating the painting “True Love Ways”, honoring the late, great Buddy Holly, I sent a copy of the painting to his widow, Maria Elena Holly. She loved the painting so much, that we formed a collaboration to market the reproductions. She invited us to the Annual Buddy Holly Symposium in Lubbock, Texas, where we met for the first time. Over the years we became close friends, and keep in touch often.